San Mateo County drives down electricity costs in parking garage with efficient T8 lamps and wireless lighting controls. San Mateo County cut lighting energy use by 67% through a lighting retrofit with wireless controls at the parking garage serving the County’s administrative campus. With six levels and over 900 parking spaces occupied daily, San Mateo County’s County Center Parking Garage supports the commutes of hundreds of employees and visitors, and houses a fleet of County vehicles. Unfortunately, with most of their inefficient high pressure sodium (HPS) lamps operating 20 to 24 hours per day, seven days a week, paying the monthly $46,000 electric bill for this facility was no joyride. 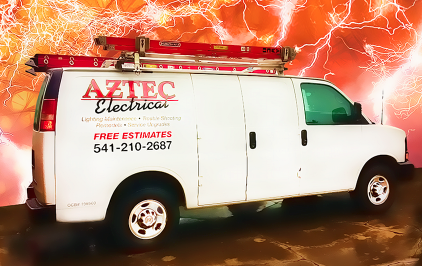 Send an email or call us at Aztec Electrical to learn more about an efficient lighting design that will help you save money and reduce your energy costs at home or at your business.